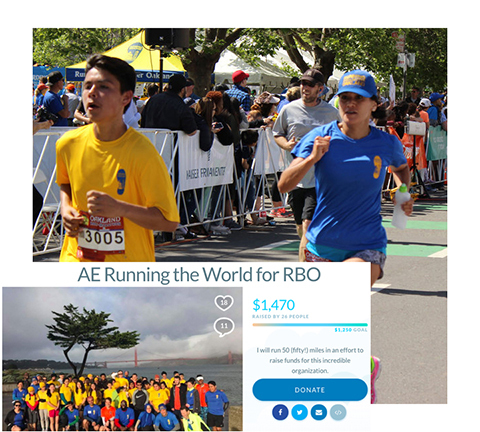 • if you fundraise $300, RBO will refund your ORF 18 Half-Marathon Registration. 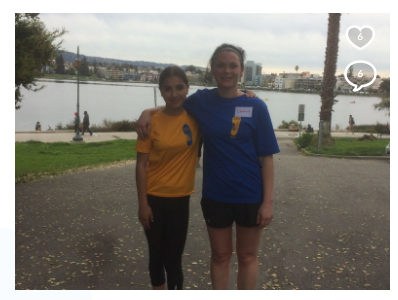 Many thanks to 2018 RBOrunsOAK event and 2019 Fundraiser Stars who are on their way to earn their free ORF19 registration! 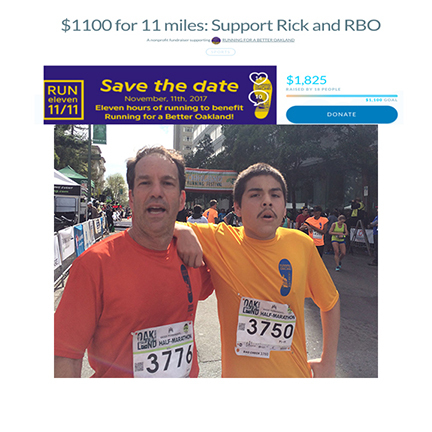 Check the info below to join their effort and show your support to RBO students! 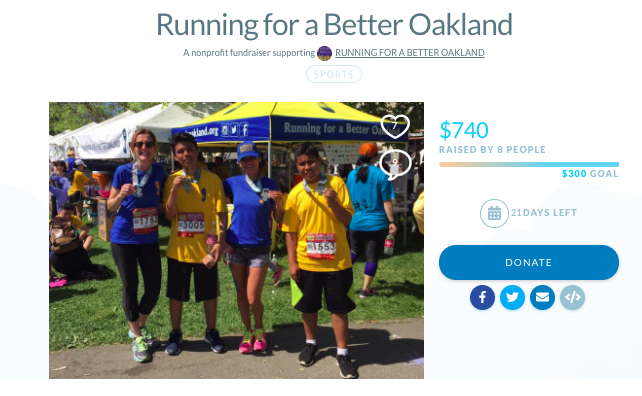 Many thanks to Fall 17, Run Eleven and 2018 Fundraiser Stars who already earned their free ORF18 registration! 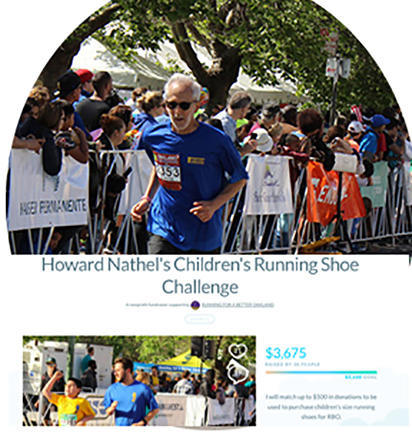 All our Fundraiser Stars earned a free registration for ORF17!!! 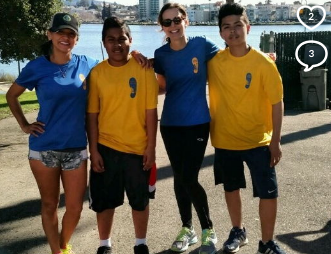 Big Thank You to this awesome team of RBO volunteers! 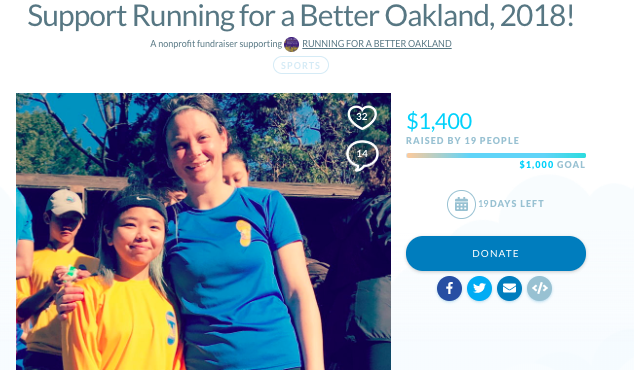 Ready to start your Fundraising Campaign? We have some really nice photos and cool videos you can include on your page: check our Facebook page to find the links. You can also browse through the Gallery Photos posted on the Website. or just ask to take a photo next time you come to practice. 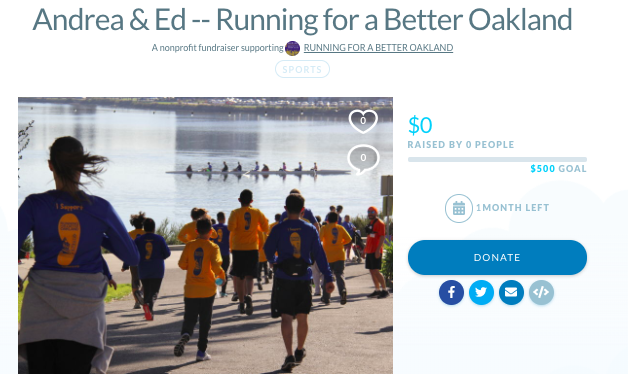 Look for other RBO Fundraisers’ pages by going to www.mightycause.com and search for “Running for a better Oakland”. 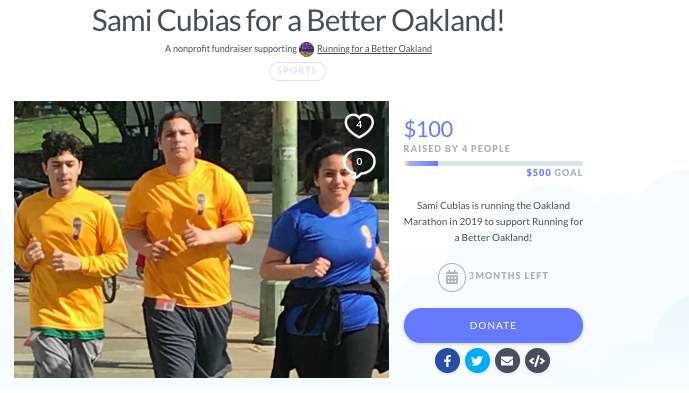 The most recent campaigns are from Samanta Cubias and Coach RIck. 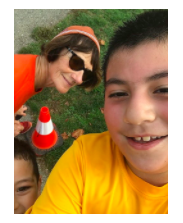 You can also refer to Coach Christine’s campaign from last year or other volunteers such as Rebecca, Andrea and Ed, Peter, Howard and many more as listed above. 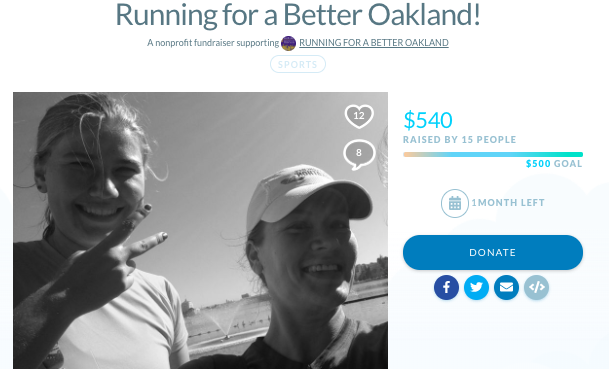 Select the "FUNDRAISE" Button and follow the instructions. 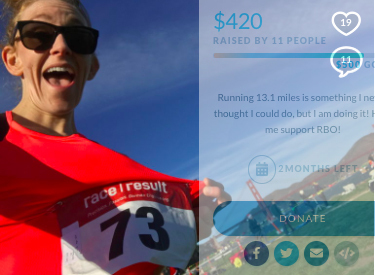 Either copy the elements of our template or customize it by adding photos of you with the students, setting your goals and adapting the text to describe your own experience with RBO. 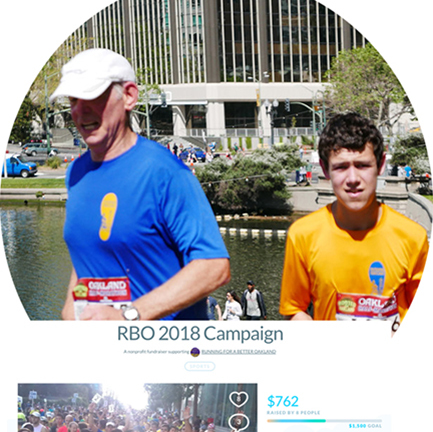 Thanks so much for launching a campaign for RBO and for all your support!